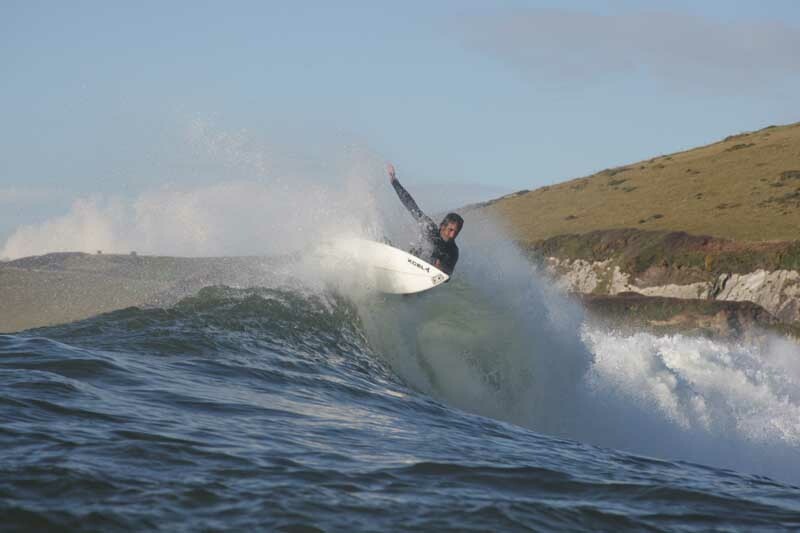 From Sailing to Horse Riding, get outdoors and enjoy everything the South Hams has to offer! 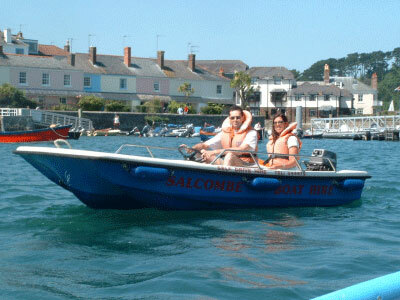 If you are a fan of the outdoors there is plenty to do in and around Salcombe. Both adults and children are well catered for by a range of companies offering a fantastic range of activities to suit all ages. The list below is by no means comprehensive but we can highly recommend all of the activities below. SYC organises regular dinghy racing, cadet sailing, cruiser races and rallies as well as an annual regatta in August. The Club House offers a grandstand view of the harbour from its terrace. There is a well stocked bar and hot and cold food is offered at most lunchtimes and evenings. As their name suggests sailing is their main activity and with such a gorgeous area in which to sail and learn why go anywhere else. 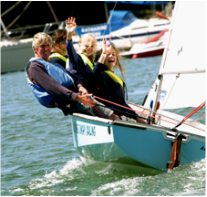 They are a recognised Royal Yachting Association training centre in which they teach and coach in Catamarans and Topper topaz mono hull dinghies from Beginners to Advanced sailors of all ages. 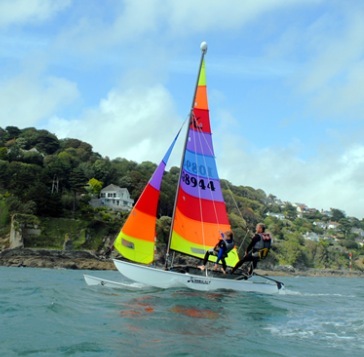 Salcombe Dinghy Sailing operates from Whitestrand in the centre of Salcombe and their boats are on moorings nearby. You can hire one of their boats if you have suitable experience or they can offer high quality professional sailing tuition. Spend the day at the beach or go fishing (fishing rods available for hire) in your very own hire boat. Visit the local pubs at Kingsbridge and Southpool at the high tides or enjoy exploring the beautiful estuary and creeks, with their local resident seals and birdlife. 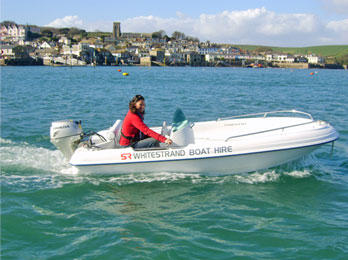 Whitestrand is a friendly, family-run business, offering excellent customer service and safe, quality boats for hire in Salcombe. Outdoor Leisure and Convenience Store based near Kingsbridge, South Devon. 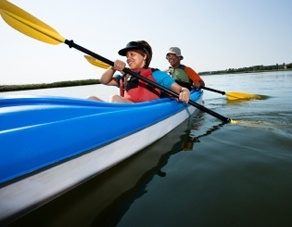 If you are looking for Camping, Caravaning, Kayaking, Canoeing, Hunting and Surf Gear then you have come to the right place! The club not only boasts an excellent 18 hole links course with fantastic views over the sea but also 10 grass tennis courts, two hard courts and three beaches. 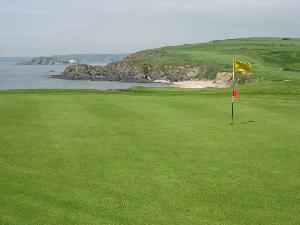 Bigbury has been providing a challenge for golfers of all abilities for 85 years. Today, its 18 holes total 6,061 yards for men, 5,568 for ladies. Par is 70 and 72 strokes respectively. Just minutes from the historical town of Dartmouth and one of Devon's premier golf courses & leisure resorts, Dartmouth Golf & Country Club offers excellent hotel & leisure facilities for the golfer and non golfer alike. 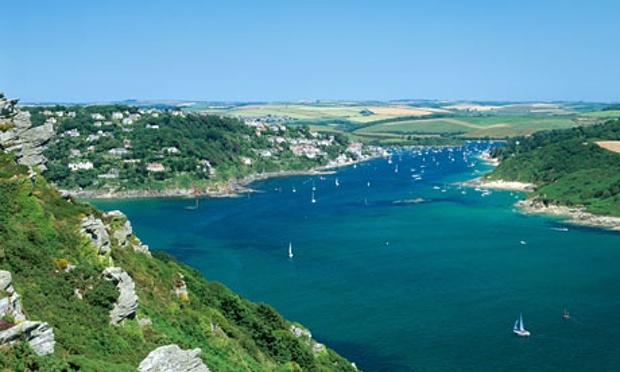 South of Kingsbridge, stretching from Brixham to Plymouth, lie the 60 miles of the South Hams' section of Britain's longest footpath (The SW Coast Path Way - voted by The Lonely Planet's Best in Travel as 'one of the world's best walks'). The path passes through some of the finest coastal scenery in Europe and allows you to halt awhile; laze on a cove beach or clifftop; enjoy the sun and the sound of the surf; watch the wildlife and examine the wildflowers. The coast path is easily accessible from the park via footpath. 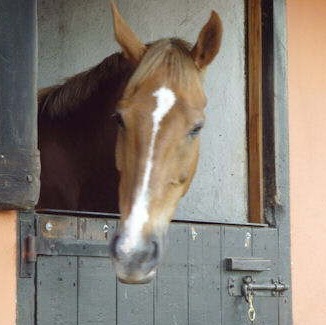 Dittiscombe Equestrian Centre is a Horse Riding School/equestrian centre in Kingsbridge, Devon offering horse-riding lessons and/or other equine facilities, stables, dressage, saddlery or livery. 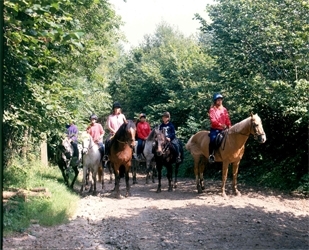 Cheston Farm Equestrian Centre is located in the south of Dartmoor National Park, 14 miles east of Plymouth. The Centre is part way through a major redevelopment to make it one of the region’s best equestrian centres.